1. On retirement recently I have shifted to Dwarka from the comfort zone of Dhaula Kuan Part 1. Though one is mentally prepared for the paradigm shift, even then you feel the jhatka. You realize how thoroughly one has been spoiled by the great Indian Army where everything is catered for. Getting a plumber for a small repair job made my life no easier, On top of it staying inside the house 24 hours is not good for own health and family. 2. So I decided to attend some seminars/ round table discussions last week. IPR is all right for money making, what happens for common good of the people. There are so many instances where inventors have shared their invention free for benefit of mankind. We have ongoing issues with Basmati Rice, Earlier we had problems with haldi, neem, ayurveda and even yoga! Will the Govt consider education also as critical infrastructure. India is not Luyten’sDelhi. Please visit any district/ sub divisional towns in the heartland of India and see the state of education. People getting out from there are simply unemployable. Lot of work is being done on skill development. It is too early to comment. How is the natural aptitude is being utilized for placing an individual to a particular skill set. It seems everything is market driven. 4. On 4th November there was as heavy duty seminar by CLAWS in conjunction with ARTRAC held at USI. All the hoi polloi of Army were there! The first session till lunch was chaired by Prof Gautam Sen. As his wont he handled the session deftly. Except one, speakers were excellent in their deliberations and there were some searching questions. I also decided to join the bandwagon and raised the following issues as comments and questions. Everybody was talking of 2004 and 2010 doctrine. People have forgotten that the first IA doctrine was published by ARTRAC during Lt Gen Oberoi’s time as Army Commander ARTRAC. It had a red cover page. Requested ARTRAC when the new doctrine gets published they should at least supersede the older one which has not been done. The process of strategy / doctrine making normally is : National Security Strategy( signed by head of the state in our case the PM to be made by NSCS) à National Defence Strategy to be made by MoD signed by RM à National Military Strategy made by HQ IDS followed by joint doctrine. The individual services doctrine should come out of the broad parameters of joint doctrine, so is the case of others eg. NDS should come out of NSS and so on. In our case we are all talking of NSS and Army Doctrine what about the other missing links. We may also like to have a look at how Indian Navy has published National Maritime Doctrine though there is no NSS. MoD has neither approved it, nor rejected it. But it is there! In our case Army doctrine is made independently. Actually it does not matter as long as it is there. Strategies and doctrines are generic in nature. NSS covers all non traditional security issues like energy, health, economic, environment, water security etc . NSS of USA is only of 29 pages. Renew professional military education at the top. Overhaul the current system for producing strategy documents on a regular basis. I drew the attention of a slide shown by Lt Gen Anil Chait where the recent statement of NSA was shown wherein for 4 GW police is being designated as lead agency. Have we already left that space for the police without contesting? We do not want to do CI Ops, govt keeps on increasing CAPF, we do not want to be the lead agency, NDRF has been created. We will still do riot control at the drop of a hat, recent example is there, there is no graduated response, no CAPF, Military became first responder. Same with Disaster Management. What is our take. Karna kya hai. The most interesting observation came from a civilian a retired official from Finance. He asked has there been any study carried out about the effect of the doctrines published earlier in 5 years time frame. What are the financial effects. He also told me in lunch break, everybody is taliking about Arth shashtra but forgets it is the economy which drives everything! Understandably there was no response to his query from anybody. 5. On 5th Nov I attended CLAWS – Carnegie – Stimson Dialog org by CLAWS. It was an excellent one. The panel was very good. Walter Ladwig III was there. I had circulated his papers on India’s Strategic Options and earlier India’s cold start doctrine, both outstanding papers. It was nice to listen to ex SFC C in C and now Director CLAWS asserting that Indian Army will fight through Tac Nuc Weapons, if it happens, and willing to take on the casualty. The political leadership is aware of what is required to be done and will take action accordingly. One only wish, in view of the recent nuc saber rattling by Pak somebody responsible from the Govt does give some response and send signals across. After all signaling is very important. Is there any methodology to measure intent. Capacity building, innovation, infrastructure development are of no significance unless there is intent to use it. To Varun Sahney in an asymmetric conflict on nuc issues Pak can come to the red line. He should not stop there, please elaborate on what will happen in case of a nuc war. What is the micro miniaturization that has been done to deliver a TNW through arty shell. What is the flexibility. To Monica Chansoria : She began well with Marxist theory and Mao to Xi Jinping ’s thought of China producing capability of deterrence. She should postulate what the new regime going to do. Imposition of economic and strategic conglomeration through one road one belt and other means is not like to succeed because of political compulsions. No two democracies have ever fought war, no two nuc powered states have either. The closest that happened was in Kargil which was localized and IA and IAF did not cross LC. PAF was not in picture. It is the most potential nuc flash point where whole world is concerned. I drew their attention to the Shasank Joshi’s paper in CSIS where he writes that there is a calculation by Ashley Tellis which suggests that Pakistan would need as many as 436 nuclear weapons of 15 kiloton yield to destroy at least half of a single Indian armored division. Since the size of the Nasr missile indicates it could only accommodate warheads of much smaller yield than this, these requirements grow more onerous still. Indians assume that two ordinary, non tactical nuclear weapons dropped from Pakistani F /16 aircraft could effectively halt an armored division/ the tanks could get through a nuclear battlefield but their supply lines could not, and Indian forces could not disperse quickly enough anyway. Indian armored divisions are assumed to move at a speed of approximately 20 kilometers per hour. In the several minutes it would take to target and drop a bomb, Indian tanks could not disperse more than a few kilometers. That would be within the range of, say, a 15 kiloton device. Every year our armd formations do exercises, the terrain is known, is there a study which can tell us how many TNWs will be required to stop, say one Armd Div. We have three, all poised against Pak. As per India what is the red line for Pak. Ladwig said that Zimmerman had carried out some analysis at Princeton and he will send the paper. And promptly he sent me that paper next day. Interested? China very effectively has boxed in India by giving Pak nuc technology and delivery means of Missiles through North Korea. They are providing another reactor now. 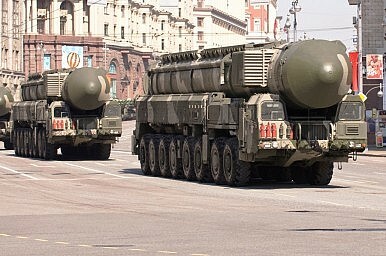 There is news of deployment of ballistic missiles in TAR. What is the chance of China giving DF 21 or DF 26 to Pak. It will be a complete game changer, our Career battle groups will be in range and will have grave repercussions. China is a cyber super power. Is there any information whether China shares their cyber expertise with Pak. 8. George Perkovich made some very interesting observation. He said the questionof Pak use of TNW arises when IA fights within Pak territory. Can we take recourse to other means like international pressure, financial sanctions, other economic measures to attain the same objective. 10. The Vice Chancellor of SNU very proudly in his inaugural address talked about 2/Lt Girish Narain Singh who joined IA in 1947 and fought in all the major wars. He emphasized that his father was from 3rd Kumaon Rifles not Regt and how Sharon Day used to be observed. More than 50% soldiers were from the then Punjab consisting of Sikhs, Jats, Dogras, Ahirs and Punjabi Mussalmans. At the outbreak of WWI strength of IA was 2, 39, 561 incl 77,000 Britishers, it was quickly increased to 1.4 million . There was a very huge number of people who went as labour force. Max number of people were in Middle East, Mesopotamia, but we get more coverage of European battlefields. 12. On 7th there was recitation of letters from Indian soldiers, an art exhibition by Sumantra Sengupta and a panel discussion. For whatever reason mostly wrongly the political class wanted to keep armed forces away from mainstream. The happenings like military rule at Pak, Burma and other countries post WWII did not help. Countries which got independence Post WW-II, there are not many countries which has done better than India. In 1918, during the same time Jalianwala Bag massacre took place. It is Indian Army’s Gorkha soldiers who fired at the peaceful gathering. There were deep wounds which take time to heal. After WW-II INA soldiers were put on trial, no less than Jawharlal Nehru probably for the first time wore the black coat and pleaded their case, but INA soldiers were not rehabilitated in Indian Army. Requested them to put these excellent papers in the web so that everybody can read those. 14. Though it was Saturday when we went to SNU, it was worth the effort. 15. Who said, there is no free lunch? Every day of the week I had sumptuous lunch. To compensate I had to play tennis in the afternoons followed by getting caught in Delhi’s mad traffic jams of Diwali shopping. Driving to Dwarka specially approach to Dwarka fly over was a painstaking effort. And boy, after all these in the day what a sleep I had everyday. 16. I think I have to take a break from seminar hopping! With as many as 120 warheads, Pakistan could in a decade become the world’s third-ranked nuclear power, behind the United States and Russia, but ahead of China, France and Britain. Its arsenal is growing faster than any other country’s, and it has become even more lethal in recent years with the addition of small tactical nuclear weapons that can hit India and longer-range nuclear missiles that can reach farther. THE LIST of things on which Jeremy Corbyn, the new leader of the British Labour party, disagrees with David Cameron is, of course, very long. But here is one that you may not have thought about, unless you happen to be a politically active member of the Hindu or Sikh community in Britain. Mr Corbyn is a long-standing and passionate advocate of the Dalits, people from India who complain of being treated terribly by their compatriots because of their low status under the caste system; such discrimination was supposedly abolished by independent India's constitution but it remains a powerful social reality. Indeed, advocates of the Dalits remember him gratefully as one of the first British politicians to take up their cause. Specifically, Mr Corbyn wants British law to prohibit discrimination on grounds of caste, a step which the government seems reluctant to take, and one which some prominent British Hindus adamantly oppose. These opponents insist that the existence of caste discrimination in Britain is unproven, and that outlawing it would be an insult to the Indian community. कर्मण्यवाधिकारस्ते मा फलेषु कदाचन This is a famous shloka from the Bhagavad Gita. “You indeed have a right to the action, never to the fruits.” In advancing a proposition that Hinduism is concerned more about the world hereafter and is concerned relatively less with material prosperity in the present world, this shloka is also cited. If the fruits are irrelevant, why should I be motivated to do anything? Why should I try to improve my material prosperity? Let me instead focus on the world hereafter. It so happens that this is not a shloka from the Bhagavad Gita, it is half of ashloka, from shloka 2.47, the 47th shloka in the 2nd Chapter. The remaining half of the shloka, often not quoted, is as follows. मा कर्मफलहेतुर्भूर्मा ते सङ्गः अस्त्वकर्मणि। “Never should action originate because of the fruits. Nor should you be attached to lack of action.” With both halves of the shloka taken together, one forms a slightly different impression. In discussing Hinduism, with its immensely huge corpus, and attitudes of Hinduism towards specific topics, one must therefore be careful in quoting selectively. What’s the point of quoting half a shloka, without considering the rest of the Bhagavad Gita? How can one quote from a text, ignoring the context of who it was composed for and by whom? Not to speak of issues about when it was composed. It is in India’s interests to start a serious conversation with China on some of the larger questions of benefit sharing, risk allocation and trade-offs on the Brahmaputra. As China’s largest hydroelectric dam on the Brahmaputra, or Yarlung Tsangpo, became fully operational this month, it has once again evoked concerns in India. The $1.5 billion Zangmu hydroelectric dam has stoked a virtual paranoia over China’s resource choices and their likely downstream impact. But the debate has generated more heat than light. It has also unwittingly ended up being a single-issue debate, fixated on water diversion and its likely impact. But is that all there is to it? An overwhelming focus on diversion has moved attention away from other critical issues such as water quality that India needs to raise with China. There are growing concerns over worsening environmental degradation facing Tibet’s ‘Three Rivers area’ comprising the Yarlung Tsangpo, Lhasa river and Nyangchu basins in central Tibet. One of the most intensely exploited areas in this region is the Gyama valley, situated south of the Lhasa river, with large polymetallic deposits of copper, molybdenum, gold, silver, lead and zinc. Studies by Chinese scientists are pointing to the possibility of a high content of heavy metals in the stream sediments and tailings that could pose a potential threat to downstream water users. Global warming could further accelerate the movement of these heavy metals besides projected spatial and temporal variations in water availability. By 2050, the annual runoff in the Brahmaputra is projected to decline by 14 per cent. This will have significant implications for food security and social stability, given the impact on climate-sensitive sectors such as agriculture. Before the official visit of Pakistan’s Prime Minister, Nawaz Sharif, to the U.S. on October 22, the media inPakistan and India were buzzing with reports that the United States was exploring a nuclear deal with Pakistan in order to constrain its nuclear weapons program, believed to be the most rapidly expanding on earth. Pakistan, on the other hand, has ruled out any possibility of a deal that places conditions on its nuclear weapons program. Pakistan is looking for a deal similar to the one India got, in which New Delhi was given access to the international market for its civilian nuclear program without putting significant constraints on its nuclear weapons program. 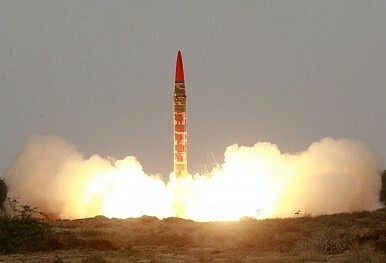 Pakistan’s Increasing Nuclear Stockpile: India the only threat factor? In 2014, the Council of Foreign Relations reported that Pakistan now has the fastest growing nuclear program in the world, and estimates that by 2020, Islamabad could have as many as 200 nuclear weapons. Gregory Koblentz, an expert on arms control, has termed this development as “aggressive.” In 2011, reports suggested that Pakistan could overtake Britain as the fifth largest nuclear weapon state in the world. While a reportpublished in August 2015 by Michael Krepon and Toby Dalton, predicts that Pakistan could exceed the nuclear weapons capabilities of France and China, making it the third largest nuclear weapon state. Krepon and Dalton further suggest that Pakistan should shift its focus from full spectrum deterrence to strategic deterrence. 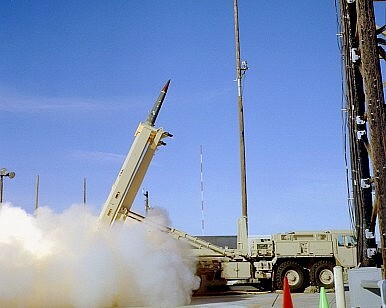 However, as recent as in September 2015, the National Command Authority on the other hand, made clear that Pakistan is working towards maintaining ‘full spectrum deterrence.’ Pakistan aspires to achieve ‘full spectrum deterrence’ and would potentially increase its nuclear stockpile as a road towards achieving this capability. In addition to this, is the issue of a possible nuclear deal between the U.S. and Pakistan, which further raises concerns. While it is being assumed that the deal, if fructifies, may check Pakistan’s growing fissile material, Pakistan could divert its nuclear program towards nuclear weapons. China’s leaders are keen historians, particularly when it comes to events that drained political power from authoritarian rulers. 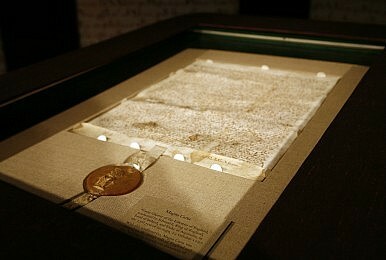 The Magna Carta, whichestablished for the first time the principle that all, including the king, were subject to legal restraints on the exercise of power, is one such event. This marked a pivotal moment in world history and the document’s message still clearly disturbs China’s leaders more than 800 years after its issuance. Indeed, consider theabrupt and unexplained cancellation of a public display of one of the actual surviving Magna Carta originals at Renmin University in early October 2015. To that end, the Party leaders seek to forestall a Chinese “Magna Carta Moment,” in part by curtailing the activities of China’s rights lawyers (“weiquan lushi”), who seek to uphold the rights of individuals against the arbitrary or improper exercise of state power. In Beijing’s mind, allowing these lawyers to operate freely could risk eventually establishing a new social contract under which the power of the Party should be subjugated to the force of an independent rule of law. Governments naturally seek to minimize potential constraints on their exercise of power. And this is precisely why Beijing is striking hard against the rights lawyers. In July and August of 2015, police interrogated and/or detained nearly 300 rights lawyers and their support staff, across 24 provinces and administrative areas. 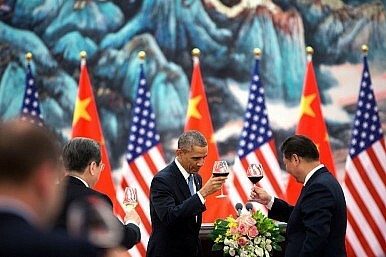 Beijing led the way, with 17 persons detained and 42 others interrogated and/or travel restricted (Exhibit 1). 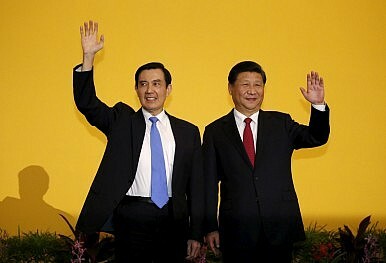 Taiwanese President Ma Ying-jeou and Chinese President Xi Jinping met for the first time in Singapore on Saturday, marking the first-ever meeting between the top leaders of Taiwan and mainland China.As expected, the two men addressed each other as “mister” and spoke as the “leaders” (rather than the presidents) of Taiwan and China – a practical way of avoiding the fact that neither government officially recognizes its counterpart as legitimate. There were no new agreements or joint statements issued at the meeting. Instead, the talks provided a way for Ma and Xi to look back at the past seven years of cross-strait relations, and to provide their blueprint for continuing the relationship under the next president. That president is likely to be Tsai Ing-wen, chair of the opposition Democratic Progressive Party, and indeed Tsai and the DPP seemed to be the intended audience for much of what Ma and Xi said. This “rebalance,” or pivot to Asia, became a popular term following Hillary Clinton’s June 2013 essay, “America’s Pacific Century,” in which she emphasized the importance of the Asia-Pacific region and outlined a set of goals, including strengthening ties with China. The new U.S. policy unnecessarily compounds Beijing’s insecurities and will only feed China’s aggressiveness, undermine regional stability, and decrease the possibility of cooperation between Beijing and Washington. We advocate fostering a community of a shared future with neighbouring countries. In this context, we regard the China-India relationship as one of the most important bilateral relationships for us — Li Yuanchao, vice-president of china. It is my pleasure to pay an official visit to India at the invitation of Mohammad Hamid Ansari, Vice President of the Republic of India and Chairman of the Rajya Sabha. I would like to take the opportunity to extend my sincere greetings and best wishes to the great people of India. The prospect that ISIS planted a bomb that blew a Russian airliner out of the sky last weekend raises the stakes for President Obama and the rest of the civilized world. While the evidence of the Islamic State’s culpability remains sketchy, confirmation would elevate the conflict to an entirely new level—a level neither Washington nor Moscow wants. Fingers are crossed in both capitals that some mechanical reason for the disaster will be found, and found soon. But if the ongoing investigations, which killed all 224 aboard when the Airbus A321 crashed into Egypt’s Sinai Peninsula Saturday, increasing point to a bomb, the world’s war against ISIS will have to shift gears. It will go from being a distant religious conflict pursued by zealots to a major challenge to the international order that can no longer be handled with airpower—U.S., Russian or anyone else’s—alone. Just five years ago, Brazil shined brightly on the nuclear scene. Today, a high-level corruption investigation is shaking up the sector. “Othon was arrested today” is a phrase I never expected to hear. I landed in Rio de Janeiro on July 27, the night before his arrest. For the next two months, I would join Brazilians in observing a political and economic crisis unfold in real time. Brazil has been struggling with a shrinking economy and political infighting. Since 2014, it has experienced the fallout from an all-encompassing high-level corruption investigation that has exacerbated structural challenges Brazil was already facing. Dubbed Operation Lava Jatoin Portuguese (Operation Car Wash) after a gas station in Brasília where some of the laundered money was exchanged, the investigation led to accusations of corruption leveled at leading figures. The list of the ensnared includes top executives of Brazil’s behemoth oil company Petrobras and of the country’s largest construction companies as well as politicians at the highest levels, extending all the way to former president Luiz Inácio Lula da Silva. Jain describes himself as a serial tech and political entrepreneur. He is founder and managing director of Mumbai-based Netcore Solutions, India’s leading provider of digital communications and marketing solutions via email and mobile. He also founded Niti (New Initiatives for Transforming India) Digital, which worked actively on the 2014 election campaign of Indian prime minister Narendra Modi. Dey, who lives in the San Francisco Bay area, is the author of Transforming India, a book in which he explores the causes of India’s poverty and discusses what steps India would need to take in order to become a prosperous country by 2040. Jain and Dey visited Wharton last month to discuss their new initiative named “Free a Billion,” which refers to gaining economic freedom for a large part of India’s population. Among other steps, they believe India needs a new Constitution, which can empower people rather than the government. If intercepted communications prove an ISIS bomb caused crash in Egypt, it could be just the boost surveillance state advocates need. When U.S. intelligence officials said “intercepted communications” are a basis for the early assessment that a bomb planted by the Islamic State may have doomed a Russian passenger jet over Egypt, they also may have given a huge boost to efforts to expand government-led surveillance in the name of counterterrorism. “I think there is a possibility that there was a bomb on board,” President Barack Obama said Thursday, lending the commander in chief’s credibility to the theory. It’s the president’s first characterization of the disaster since British Prime Minister David Cameronsaid it was “more likely than not” that a bomb destroyed the airliner. The Defense Department's cyber strategy released earlier this year outlined several overarching goals, fleshed out narrower objectives and plans for implementation, and hit on a number of Pentagon cyber ambitions. Now, six months after the strategy's late-April release, DoD officials are working to carry out its directives. One of the central parts of the strategy is the direction of significant authorities to a newly appointed principal cyber adviser (PCA). Mandated in the 2014 National Defense Authorization Act and emphasized in the 2015 strategy as an integrator and supervisor for DoD's evolving cyber forces, policy and operations, the PCA is responsible for convening an interdepartmental cyber team and a senior executive forum, improving management of cyber budgets, developing cybersecurity policy and framework, and conducting an end-to-end assessment of DoD cyber capabilities. The role is referred to numerous times in the document and plays a key oversight role for U.S. Cyber Command and Joint Force Headquarters-DoD Information Networks. IT was the end of a long combat patrol near a district called Adhamiyah, in northwest Baghdad, in the fall of 2008. It started like most daily missions but ended with a hidden enemy throwing a grenade at a vehicle convoy, missing it but hitting a young Iraqi child instead. As the company commander, I met the soldiers at the site and after a few hours followed them back to our base. I left the men, went to stow my equipment and brief other officers. When I went back to talk to the soldiers who had been on the patrol, I was surprised to find them not grouped in conversations about what had happened, as I’d come to expect during my career in the military. Instead, they were sitting silently in front of computer screens, posting about their day on Myspace and Facebook. The term “band of brothers” has become almost a cliché to describe how the close personal bonds formed between soldiers translate into combat effectiveness. Yet my combat experience in Iraq suggests that the kind of unit cohesion we saw in past wars may be coming undone because of a new type of technological cohesion: social media, and too much connectivity. An examination of the ways Western public and private funders are responding to the increasing restrictions on support for civil society around the world. Continued closing space. Just in the past two years, China, India, and Russia, along with many smaller countries—such as Cambodia, Hungary, and Uganda—spanning all ideological, economic, and cultural lines, are stepping up efforts to block foreign support for domestic civil society organizations. Broader repression. Attacks on foreign funding for civil society are often the leading edge of wider crackdowns on civil society. Power holders justify broader sets of restrictive measures like limitations on freedom of assembly using the anti-foreign-intervention line. Major US defense contractors are competing for nearly a half-billion-dollar military contract on development of a computer code and cyber-weapons, which would be capable of harming humans in a real world. The US troops may soon have the power to launch so-called logic bombs, instead of traditional explosive projectiles, these would essentially be able to direct an enemy’s critical infrastructure to self-destruct, likely with the loss of human life, according to Nextgov, a web-based information resource which reports on technology used by the US federal government. Victor Robert Lee writes on the Asia-Pacific region and is the author of the well-received espionage novelPerformance Anomalies. He is perhaps best known to readers of The Diplomat for his very popular series ofarticles built around satellite imagery showing China’s island building program. His writing on the region has been widely cited in major news outlets. He recently spoke with The Diplomat’s editor James Pach about the tensions in the South China Sea. In January 2013, your article “The Last Empire Expands” was published in Medium.com. 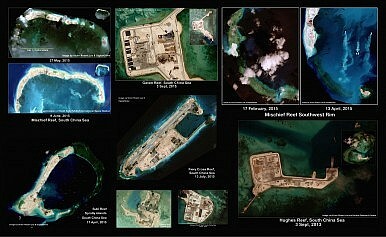 In the article, you called Beijing’s “territory grab” in the South China Sea an imperial move. Do you still hold the view that China is the last empire? Yes, and the closing sentence of that article is unfortunately pertinent today: “It is time to see the Beijing Empire for what it is: A hegemon that has been emboldened by America’s folly and is expanding.” Beijing’s ongoing annexation (no other word for it) of the South China Sea is the largest territorial grab since the expansion of the Soviet and Japanese empires. And Beijing has tightened its grip on restive Xinjiang and the Tibetan regions, flooding them with Han migrants and turning them into virtual police states. It is also pushing against India on its Himalayan borders. So “empire” is appropriate. China even has a self-anointed emperor, Xi Jinping, who holds absolute power and is assiduously building his own cult of personality. I think kowtowers like David Cameron and Mark Zuckerberg will come to regret their fawning. The Pentagon worries its rigid personnel system is driving away the leaders it will need for the conflicts of the 21st century. Note: Michael O'Hanlon testified before the Senate Armed Services Committee, arguing in favor of the rough balance of resources that has characterized the U.S. armed forces in the past. O'Hanlon's comments focused on his latest book "The Future of Land Warfare." Greetings, Mr. Chairman, Mr. Ranking Member, and other Senators on the Committee. It is an honor to testify today as we stretch our imaginations to postulate what the future of warfare may be like—and thus what demands may be placed on different elements of America’s military. 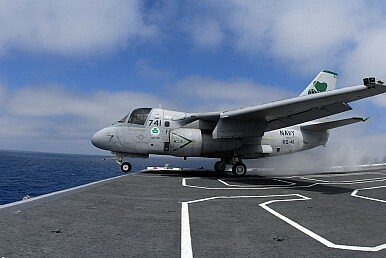 I am here to argue in favor of the rough balance of resources that has characterized the U.S. armed forces in the past. My purpose is not to argue that landpower should be the preeminent military tool of the United States. Rather, I would like to challenge those who claim that its time has come and gone—and that the U.S. Army’s size and budget should decline accordingly. I strongly disagree. An Army of some million soldiers, active and Reserve and National Guard, remains roughly the right size for the United States going forward—and in fact, that is a rather small and economical force relative to the scale of challenges and threats that I foresee. Moreover, that Army should continue to prepare for a wide range of possible scenarios, challenges, and missions. We cannot opt out of certain categories of warfare based on some crystal ball we purport to possess; the United States has always been wrong when it tried to do so in the past. To paraphrase the old Trotsky’ism, we may not think we have an interest in large, messy, dangerous ground operations in the future—but they may have an interest in us.